The live cricket streaming of Sunrisers Hyderabad vs Rajasthan Royals (SRH vs RR) will be available on Hotstar, AirTel TV app, and Jio TV. The telecast / broadcast of live cricket match today watch online will be provided by Star Sports network television channels. This is the fourth match of the ongoing IPL 2018 tournament. The Indian Premier League has started its 11th season. Today’s match will be played at Rajiv Gandhi International Stadium located in Hyderbad. Both the teams have suffered when Cricket Australia banned David Warner and Steve Smith for one year. Later on, Kane Williamson was made the captain of SRH while Ajinkiya Rahane will now lead RR. 1.2 Where (venue) is IPL 2018, RR vs SRH? 1.3 Which TV channels will broadcast/telecast IPL 2018, SRH vs RR? 1.4 How to watch IPL 2018, Sunrisers Hyderabad vs Rajasthan Royals live streaming online? 1.5 Prediction: Who Will Win Today? Two years ago, the Rajasthan Royals team was banned from playing in the IPL. This edition, the ban has been over and now, they have returned to play. SRH has seasoned players like Williamson, Shikhar, Yusuf, Manish, Carlos, Deepak, and Shakib. Warner has been replaced by Alex in Sunrisers squad. On the other hand, Royals has Ben, Stuart, Sanju, Jos, Rahul, D Arcy, Krishnappa, Jofra, Dhawal, Jaydev, Rahane, and Heinrich in their squad. The costliest buys for Royals are Ben Stokes (Rs 12.5 crore) and Jaydev Unadkat (Rs 11.5 crore). The IPL t20 2018 match of SRH vs RR will take place on April 9, 2018, Monday. It will start at 8 pm IST and be an interesting affair to watch out for. The toss will take place at 7:30 pm IST, 30 minutes before the match starts. Where (venue) is IPL 2018, RR vs SRH? 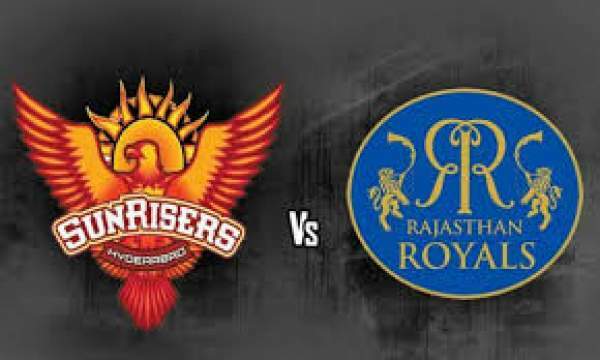 The 2018 IPL Rajasthan Royals vs Sunrisers Hyderabad will be held at Rajiv Gandhi International Stadium in Hyderabad. Which TV channels will broadcast/telecast IPL 2018, SRH vs RR? The live telecast of RR vs SRH IPL match will be provided by Star Sports 1 / HD, Star Sports Select 1 / HD in English. For Hindi commentary, the viewers can go to Star Sports 1 Hindi / HD. They have the official rights for this season. How to watch IPL 2018, Sunrisers Hyderabad vs Rajasthan Royals live streaming online? The IPL 2018 SRH vs RR live streaming will be provided by the official rights holders / streamers. They are Hotstar (on app and website) and Jio TV. Prediction: Who Will Win Today? Let’s check out who wins today – Sunrisers Hyderabad or Rajasthan. Stay tuned to The Reporter Times for cricket live score, scoreboard, man of the match, video highlights, and much more.